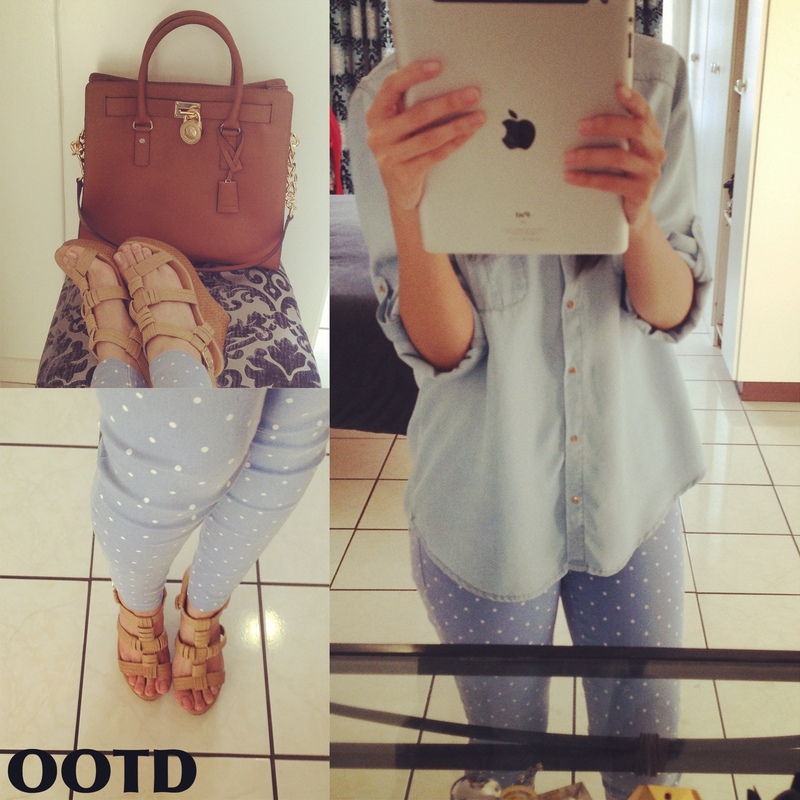 I decided to wear my dotty denims (here)today, and the thing is I didn’t count on how comfortable they would be. They have a jeggings feel to them. I usually buy designer denims, I feel like they wash better and last longer. But if something is trendy I will not spend an exhorbitant amount of money on it. I decided to pair it with my trusty denim shirt, something I have been wearing a lot lately but in different ways with different accessories. I decided to go with neutral accents, and well I decided to take out my new Michael Kors handbag for a shopping trip too. My dad bought it as a gift for me on a recent trip overseas. I love that it has an Hèrmes Birkin feel to it. And the tan colour means I can pair it with almost anything.